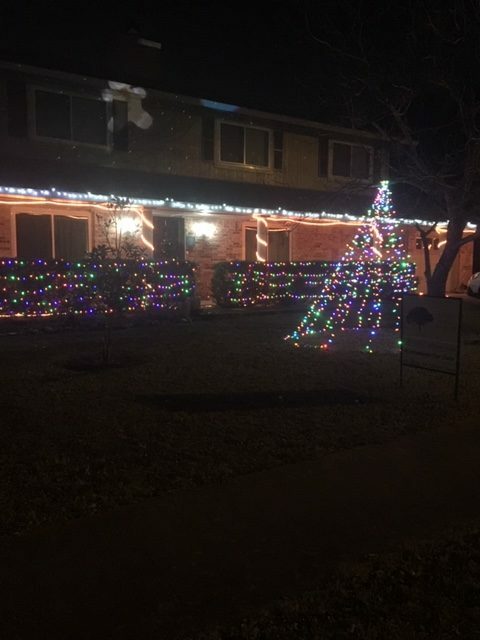 Congratulations go out to Mike & Meggan Carcasi at 4603 Yellow Rose Trail for their holiday decorations. 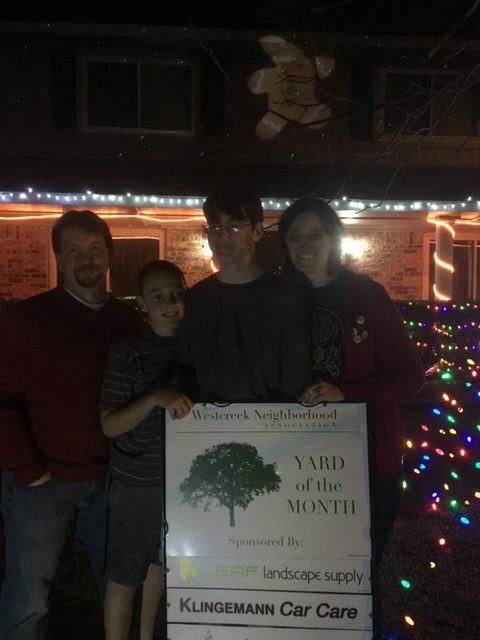 Pictured here with their YOM sign are Mike & Meggan and sons Ben, an 8th grader at Kealing, & Quinn who attends Patton. The family has lived in Westcreek for five years. The family received gift certificates from D’Lites for $15, Klingemann’s Automotive for an oil change, and Leaf Landscape for $50. It’s time for all Westcreek residents to join their neighborhood association to show support to the Board for all the work they do for the benefit of all who live here. In addition, your membership makes you eligible for YOM consideration when yards are judged April through October. It’s a bargain at just $20 for the year! Go to our website www.westcreekna.org to pay via PayPal or send your check to WNA PO Box 91373, Austin, TX 78709-1373. Come out to see and question your District 8 and Austin mayoral candidates! 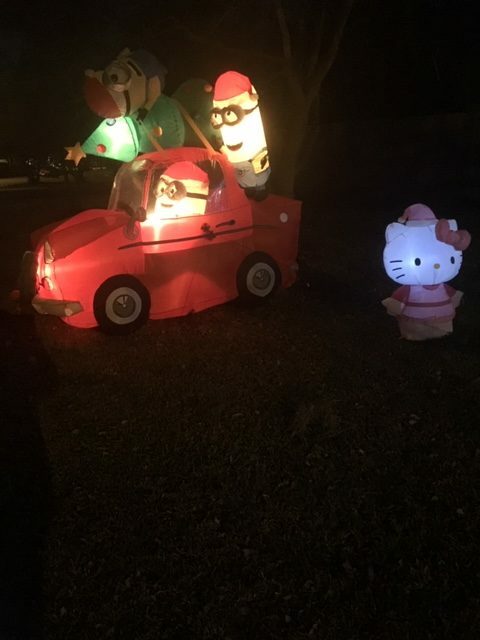 If you are hosting, please add your address in the comments of Rita Berry's post on Nextdoor here: https://nextdoor.com/news_feed/?post=92483284 You can also post on our Facebook page here: https://www.facebook.com/WestcreekNA/ with your name, address and times that you are hosting. Don't forget to take pictures! You can send them to us by replying to this email or sending them to board@westcreekna.org Thank you!